Following the release of Windows 8.1 yesterday, Microsoft today announced it has launched a new version of Bing.com for users on its latest OS. Everyone else (Windows 8 and older, Mac, Linux, and so on) will be getting the new Bing.com over the coming weeks. 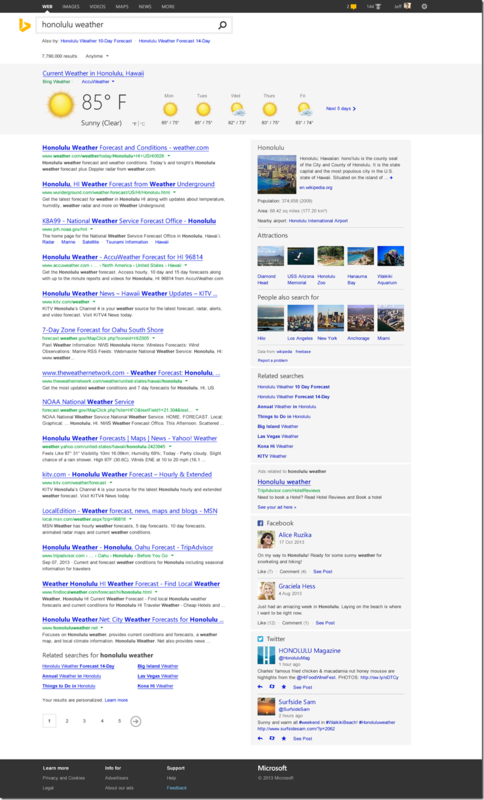 Microsoft also noted that Bing Smart Search, which it calls “a new way to experience search” has arrived on Windows 8.1. It replaces endless rows of blue-links with a design specifically for touch (swipe or type from the Start Screen to find documents on your PC, photos in the cloud, apps, and sites). More details for this Windows 8.1-specific Bing Smart Search (again, this is separate from the Bing.com you see above) are available below.